Yep! Another painted carpet. We ran out to Carrolton today to help a gal that somehow sprayed her her carpet black. She was sure it was ruined but I put her mind at rest and went to work. 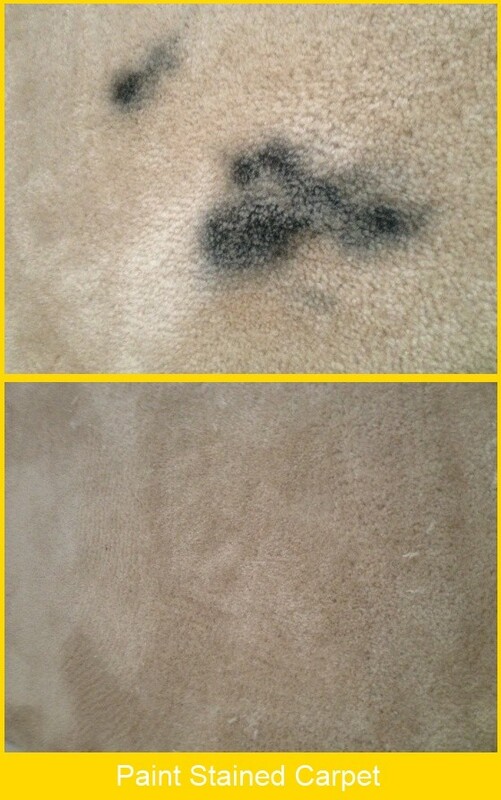 Paint is gone, client is happy and we have another opportunity to show you what we can do when you damage your carpet. Paint, pet, or anything else we can fix it. We will also do your carpet cleaning so call us first!